The mini scrapbook products on this page are items that we use often in our mini album creating or ones that we would LOVE to use in our creative endeavors. I use the Bind-It-All all the time! The perfect little tool for binding up books. 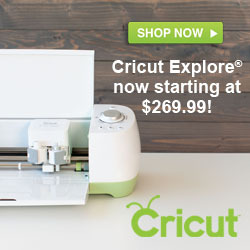 The Cricut is an amazing cutting machine that you can use to create a huge number of mini scrapbooks, as well as little paper pieced items for your scrapbooks. A-M-A-Z-I-N-G! The Scor-Pal is an awesome tool for creating those score lines that are needed constantly in mini album creation! The Sizzix Big Shot is a great die cut machine. It is so versatile because you can use dies from all the major manufacturers with this machine. You can cut and emboss with this one machine. And there are just so many options of things to make for your mini albums with it. Washi tape is all the rage. I use it all.the.time in my mini albums. I use it to tape pages together. I use it as an embellishment. I use it along the edge of a page for a page border. This great kit from We R Memory Keepers comes with 20 rolls of tape, plus has a dispenser that doubles as a storage container for the tape. Super cool! This is a brand new mini album from Bo Bunny's The Avenues Collection. I love the shabby chic look! Return from Mini Scrapbook Products to Making Mini Scrapbooks Home.